Reliance Jio is already at the top of the telecom market in India but the company never seems to be at a dearth of offers for its users. 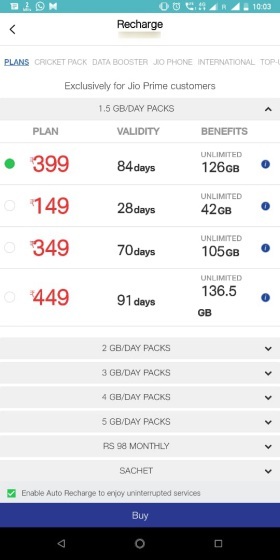 The company has now announced a new Holiday Hungama offer for both prepaid and postpaid users, which discounts the Rs 399 recharge pack by Rs 100 for a limited period of time. 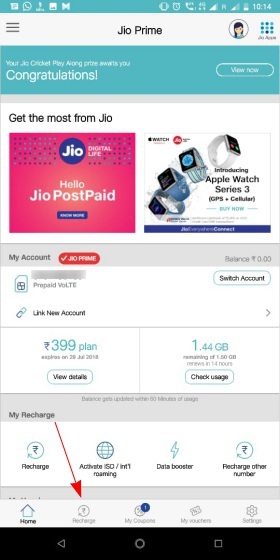 As announced through its official website, Jio is now offering Rs 100 instant discount on its popular Rs 399 recharge pack that offers 1.5GB data a day for 84 days. It means you will get the recharge at an effective price of Rs 299, which includes unlimited voice calls, 100 free SMS a day, and access to Jio services for free. 1. First, you need to log into the MyJio app and navigate to the ‘Recharge’ tab. 2. Select the Rs 399 recharge pack and tap the ‘Buy’ button at the bottom to go to the Payment page, where you’ll see that a Rs 50 discount coupon has been applied. 3. You then need to select the PhonePe payment option to get 20% cashback up to Rs 50 on the recharge. 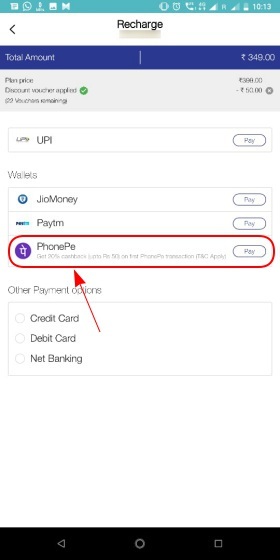 Following this, you will need to log into your PhonePe account and complete the recharge to get Rs 50 cashback in your wallet. This translates to an effective price of Rs 299, if you take into account the Rs 50 discount and Rs 50 PhonePe cashback. Note: The Holiday Hungama is restricted to users who are paying for the first time with PhonePe in the MyJio app. Reliance Jio’s Holiday Hungama offer is currently live (kicked-off on June 1) and will be available until June 15th. So, this may be the perfect time to recharge your Jio number if you’ve been holding off on it for a while.